Welcome to Hadley Roofing Inc. If you are looking for a roofing company in Southern Oregon, do what most home and business owners in the area do. 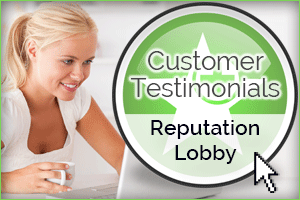 They call on the experienced, respected and well-known name of Hadley Roofing Inc. every time. As a family owned and operated company since 1974, Hadley Roofing has three generations of qualified roofers making sure all the families of Southern Oregon have a good roof over their heads! As the highest trained and skilled roofers in the area, we are dedicated to offering home and business owners the best in everything for their roofing needs, from customer service to quality, selection and price. The contractors at Hadley are experts in both residential and commercial roofing, working with numerous different roof and siding materials. We specialize in metal roofing, wood shakes, composition and wooden shingles. In addition to roof repair, maintenance & installation Hadley can also install, repair and maintain everything around your roof as well, including chimneys, skylights and gutters. Whatever your roofing question may be, Hadley Roofing is ready to answer! • How often should I clean my gutters? How often your gutters need cleaned depends on how well they are functioning, their current condition and how many trees you have around your home. If you have many trees that drop debris into your gutters, they will need to be cleaned more often than if you did not. • Should I have a roof maintenance plan? Having a roof maintenance plan can definitely save you money in the future by finding small problems before they become massive and also helps your roof to last longer than if it wasn’t inspected on a regular basis. • When will I need a new roof? What will it cost? When you need a new roof depends largely upon how old your roof is, what type of material it is made from and how well it has been maintained. The cost varies as well, depending upon the type of roofing material that is used and how large your home is. These are the reasons that Hadley Roofing offers free estimates! • Can’t I just do the repair myself? 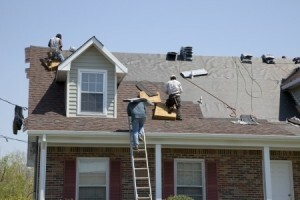 Repairing a roof is a big job for even the most experienced of home repair experts. Not only must you know which materials to purchase to make sure the repair lasts long, but you must also have the training necessary to get the job done right. All with the possible hazards of falling off the ladder, slipping from the roof and incurring tons of medical debt from a trip to the emergency room. When it comes to the dangerous job of roofing, it is best to save it for the pros at Hadley Roofing! Choosing Hadley Roofing of Medford means that you will receive the best in service and workmanship from a family of roofers that love what they do. Hadley Roofing offers free estimates, real estate inspections, roof certifications and always stand by our work with guarantees of our products and services. With forty years of experience with residential and commercial roofing, Hadley Roofing is the best!